“The intersection of fact and feeling is very important in my work. 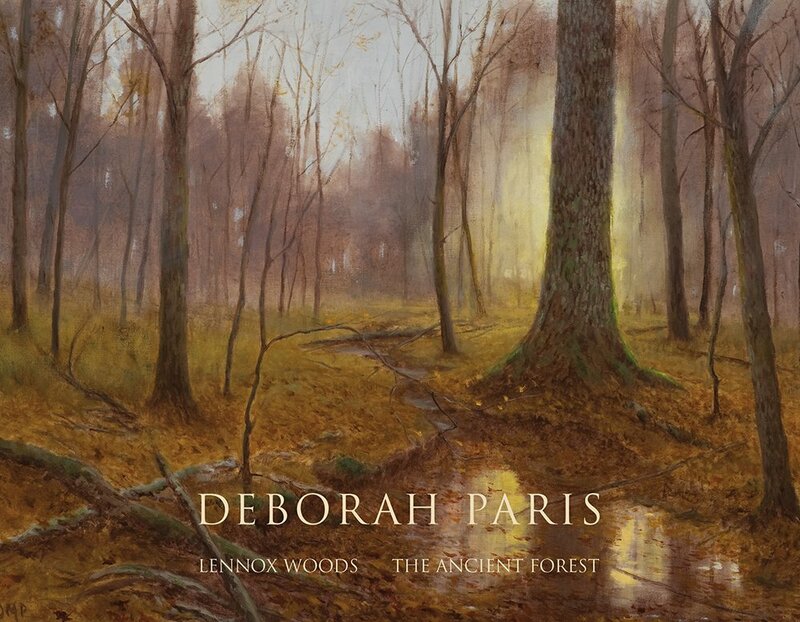 It drives my work in general, and in particular for Lennox Woods,” explains Deborah Paris. Having spent the past year physically and psychologically immersed in Texas’s northeast Lennox Woods, the state’s only remaining old-growth forest, Paris has forged a deeply intimate relationship with her subject matter. A veteran landscape painter and self-described artist-naturalist, Paris translates how Lennox Woods looks and how it feels, re-creating its live, three-dimensional environment on the two-dimensional picture plane. Through a convergence of literal observation and soulfulness, the artist-naturalist conveys the true essence of her subject matter to evoke the sublime. Thick with virgin timber and rare and endangered plant and animal species, Lennox Woods exists as tangible history, an example of how the land looked before the settlers arrived. This book represents the culmination of Deborah Paris’s eighteen-month “residency” in the 375-acre Lennox Woods Preserve. Deborah Paris is an American landscape painter. Her work has been exhibited by the Laguna Art Museum, the Albuquerque Museum of Art, the Cowboy and Western Heritage Museum, the National Wildlife Museum, and the Gilcrease Museum.